As an English major, I graduated with a hefty pile of classical books to my name. Your school bookstore normally gives you pennies to the dollar for the price you paid for the book, but I often wondered if I was more of a fool to keep these books and have them collect dust rather than selling them and at least getting something, if not a few pennies. Previously, I thought my only options for selling books were my school bookstore or half.com. Listing the books took several hours of my time, and I then had to wait for someone to buy them. And because the competition was so high, I found myself lowering my price to the point where I was spending more money shipping the book than what it had been purchased for. I pretty much resigned myself to putting my boxes of books in the recycling bin and being done with it. Until I discovered that books can be sold online almost immediately. Book-buying sites will buy your gently used books for a set amount. You ship the books to them and they credit your paypal account within days. No listings: To sell your books on other sites, you normally had to list each book separately, and then describe the quality of each book. If you had a lot of books, this process was very time consuming. For book buying sites, you simply enter the ISBN number that automatically pulls up the book for you. No hidden fees: Other listing sites like Amazon, Half.com, and Ebay, charge a certain percentage of the sale that ends up eating into your profits. Usually buy the time you’ve paid fees and shipping, the money you make is nominal at best. With book buying sites, what they offer you is what you receive. You can also sometimes find coupon codes for an additional 10% markup, putting more money into your pocket. Sell your books immediately: With other sites, you had to wait until your book sold before you could ship them. Sometimes your books wouldn’t sell at all before your listing expired, which required you re-listing your books. With book buying sites, they will tell you immediately if they are buying your book or not. Get cash quickly: As soon as they receive your books, it takes about one to three business days to get paid. There are lots of book buying sites out there, like Cash4Books, TextBooksRUs, and SellBackYourBook. It is very common that one site will not take all your books. 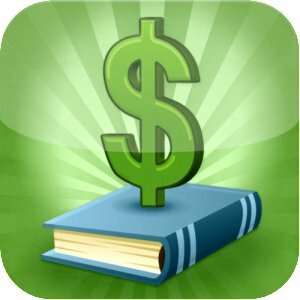 In order to find which site will offer you the most money, BookScouter.com will let you know how much each book buying site will offer you for your book. The one caveat to book buying sites is that some have minimum requirements, like $10 or $15 worth of books before you can ship them. But if you have plenty of books to sell, it’s normally not a problem. My experience has been nothing but positive. After having books taking up space in my garage, it was finally great to sell them during a relatively painless process.